ERSOP is a provider of Internal Revenue Code tax-qualified profit sharing plan, which allows rollover money to be invested into sponsoring a business. Its parent company is SDCooper Company, the primary developer of the Entrepreneur Rollover Stock Ownership Plan, which allows individuals to invest their IRA & 401(k) money into a business or investment that they can manage. In this review, we share its pricing options. As of the date this article was written (6/19/18), there are no user reviews of ERSOP online. If you are a past or current ERSOP customer, leave a review to help other small business owners that are deciding whether or not to use the company. ERSOP charges flat rates for their services. The initial consultation is free, then the follow up review costs $500. Generally, the price for an ERSOP Plan is $4,500. There can be an additional annual administration fee of $900 if your plan exceeds more than four hours of trust accounting. For more information, check out their fees table. Check out the list below of some of ERSOP’s features. Best Rollover as Business Startup (ROBS) Providers 2018 – Read our buyer’s guide for a comparison of the top ROBS financing companies for small businesses. 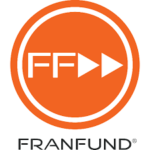 We compare Guidant Financial vs. Benetrends vs. FranFund vs. Catchfire Funding vs. MySolo401k to give you an idea of which financing option will work best for your business. Rollover For Business Startups (ROBS): The Ultimate Guide – Learn about ROBS financing and why it often has higher success rates than traditional business financing. Startup Business Loans 2018: The 11 Best Ways to Fund Your Startup – There are a lot of ways to fund a startup business, but which is right for you? Read our ultimate guide to startup funding. How to Use Your 401k or IRA to Start or Buy a Business – Borrow? Cash out? ROBS? We’ll walk you through all the options for using retirement savings to fund your dream business. Why does ERSOP charge a flat rate? It is because the ERISA law states that the transaction is exempt from being a prohibited transaction “if no commission is charged with respect thereto . . .” If the company charges a variable fee instead of a flat fee for service, the IRS could assert that the variable fee was a commission, and therefore the funds will be subjected to taxes and penalties. No. The company believes that there is a conflict of interest between the design and administration of the PLAN and the sale of investments to the TRUST fund. Not sure if ERSOP is the right fit for you? Check out our reviews of the top ROBS providers or take a look at these three ERSOP alternatives.